Wii U Bundle: Did Nintendo Choose the Wrong Game? 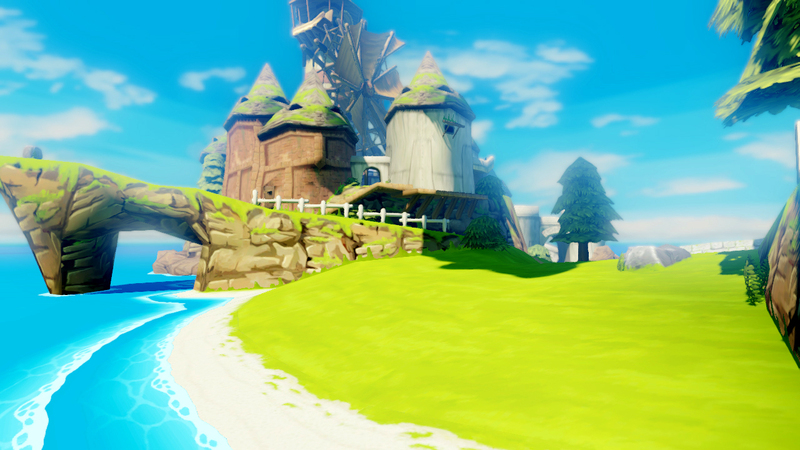 Yes, what you see above is real: There will be a Windwaker HD Wii U bundle hitting this holiday season. What was heavily rumored has finally been confirmed via a promotional WW HD video that Nintendo uploaded to their official YouTube channel and was promptly taken down. No details were given about the actual hardware of the bundle other than the fact that the GamePad will sport a snazzy Zelda decoration around it’s edges, but it’s safe to assume that this will simply be a 32 GB model. 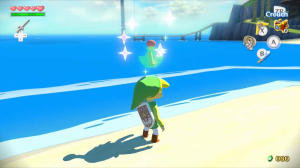 But is Windwaker HD the right game for the job? Why would Nintendo decide to go with this title for the holiday Wii U bundle? With higher profile games such as Donkey Kong Tropical Freeze and Super Mario 3D World, that are from much higher-selling franchises, wouldn’t it make more sense for the company to go with either of those games? Perhaps Nintendo wants to get this ball rolling as soon as possible. As we all know, Donkey Kong Tropical Freeze is releasing in November of this year and Super Mario 3D World launches in December. Maybe the company feels that waiting until the last 2 months of this year will be too late, so instead they go with a game that is releasing in October. This would not only get early enticed buyers, but it will also give people more time to prepare to purchase the bundle. Nintendo is also probably using this game as a hype tool for the next Wii U Zelda title. On-the-other-hand, if that is not Nintendo’s reasoning for choosing Windwaker HD, then it’s definitely the wrong game. Choosing 3D World over a GameCube remaster seems like a no-brainer, because it is. As I stated before, Donkey Kong and Mario are obviously much higher-selling franchises. They could get the system flying off shelves much better than WWHD ever could. 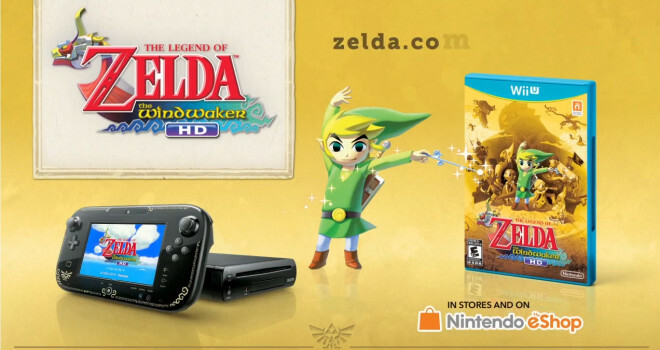 Now under normal circumstances, a new Zelda game being bundle with any system would spell instant success. But the issue I see with Windwaker HD is that not only is it an old game, but it’s the least-popular and least favored Zelda of the bunch. At this time, I’d say we don’t have enough information to determine if this game was the wrong choice to make. As I stated above, Nintendo probably simply didn’t want to wait until November to pull out a bundle, or for all we know it could be a completely different reason we’re not thinking about. Looks like we’ll have to wait until an interview is done to find out Nintendo’s reasoning behind this somewhat odd decision. Dude, if you want to talk least popular Zelda, that’s most likely Minish Cap. Overlooked due to being GBA game after DS was out. And least favored Zelda, still not true. The large majority of backlash went away after the launch of the game on the Gamecube. I was strictly speaking console-wise here, Orcarina of Time and beyond. I should’ve specified. no, it’s actually either skyward sword or twilight princess. and a lot of people liked wind waker. they took back what they said about the art style when they actually played the game. the hate was pre-release. Twilight Princess was very popular, and the highest-selling Zelda title ever. You could make the argument that Skyward Sword wasn’t as popular, but only because it got the Majora treatment – it launched near the end of the system’s life cycle and required an add-on to play it. So saying WW is more popular than SS isn’t saying much. It only sold about 1 million units more too. By popularity, I mean how much the fans liked it, not by sales. If it was popularity, Oot and MM would pretty much be tied, with WW at second. TP and SS received mixed fan reception, but SS more. True that WW sold only about a million more than SS isn’t saying much, but the fan reception post-launch is much greater. 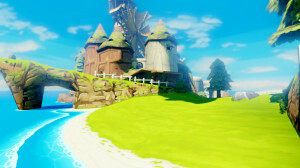 Shokio, Wind Waker is one of the most popular console Zelda titles. By popular I didn’t mean how well-known the game is. What I meant was comparatively, it’s the lowest-selling Zelda in recent times. And yes, I know Majora’s Mask and Skyward Sword sold less, but those two games came out at the end of their respective life-cycles and were the 2nd Zelda games featured on the console, AND they required peripherals. Majora could’ve easily replaced Orcarina of Time and sold the exact amount, and same goes for Skyward Sword with Twilight Princess. That’s what I mean by comparatively. Windwaker was THE GameCube Zelda title that came out when the GameCube was fresh, but it sold a lot less than Orcarina and Twilgiht Princess. It didn’t have the limitations that Majora and SS did, so that’s what I mean by least-popular. Zelda franchise is more popular then the Donkey Kong franchise. And wind waker is one most faverored and sold Zelda’s. Donkey Kong actually sells more than Zelda. And no, Windwaker was received with a lot of hate form Zelda fans due to it’s art-style. I think Windwaker HD makes more sense because people are more likely to purchase DKR:TF and Super Mario 3D World on their own, as you said they’re higher selling franchises. By including those games in a bundle, they’d actually make less money. Potential consumers can now justify a Wii U purchase because of a “free” pack-in Zelda game (“great value!”), AND still purchase DCR:TF and SM3DW. So basically, They can make $350 selling a Super Mario 3D World Bundle, or $410 Selling a Windwaker Bundle w/ a purchase of SM3DW. If they get a Million people buying the bundle and SM3DW that’s an additional $60 Million dollars made. Same reason why NSMBU wasn’t included. Adding on to that, I’m sure Windwaker HD had a lower budget than the other two games, so that’s even more of a cost saving/profit maximizing measure. Pack in the game that cost the least to produce. It’s all about the money and that quarterly financial report lol. Great post. 100% accurate points. Wind Waker is not the worst zelda. Metacritic gave it the second highest score only behind ocarina of time. the least favored may be the handheld games and zelda 2. you can say twilight is the worst cause the wolf, skyward cause of motion control. While it is you opinion, i think most ppl can agree the worst are on the handheld. it can be your least fav, but it is not the worst. in fact the worst or the cdi ones.